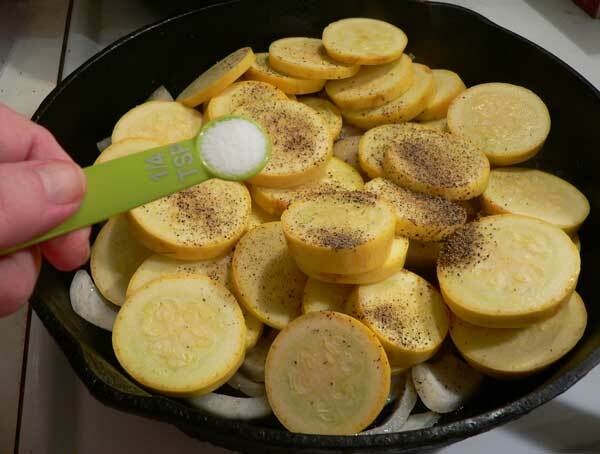 Squash and Onions are easy to make with our complete, step-by-step, photo illustrated instructions with printable recipe. 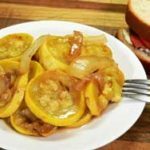 Squash and Onions Recipe, with printable recipe at bottom of post. If you have a garden, live close to someone who has a garden, or just know someone who knows someone that has a garden, you’ll probably end up with a good supply of squash during the summer. Squash is one of those vegetables that just seems to keep on giving. But, that’s a good thing. Finding a variety of ways to prepare that abundance of squash each year might be more difficult. You can fry it, bake it, roast it, steam it, stew it, casserole it, pickle it, and a few more things. 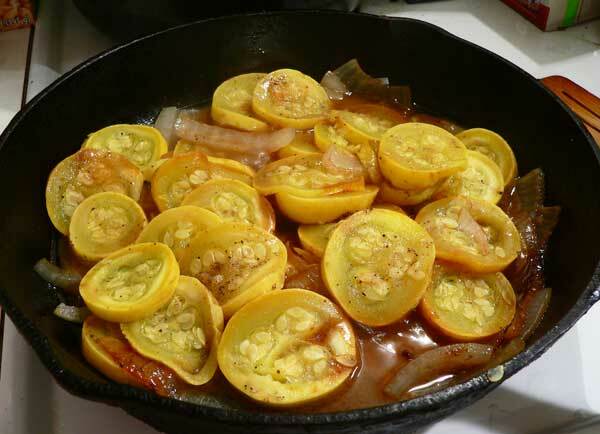 I’ve posted several recipes here on Taste of Southern that use yellow squash. 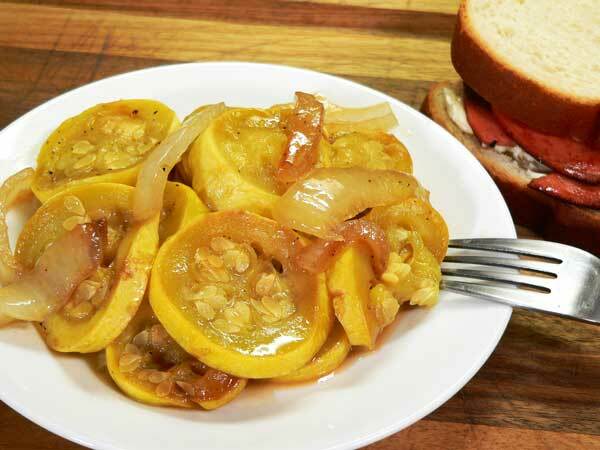 This one is probably the simplest and easiest though since it’s just – squash and onions. Around here, we see yellow squash all throughout the summer. It’s one of the first vegetables that seem to start showing up fresh out of the local gardens. Mama cooked a good deal of squash back in my younger days. It appeared on the Sunday dinner table quite often, but I wasn’t always a fan. Thankfully, I’m doing better with that now. Smile. You’ll enjoy this best if you use a younger squash. The seeds inside will be smaller, and will cook up more tender. It’s even better if Vidalia Onions are in season. I just happened to have a few handy today. I do hope you’ll like it should you make it. It’s a really great side dish, or you can about make a meal out of it by itself. So, if you’re ready to give this super easy recipe a try, then let’s head on out to the kitchen and… Let’s Get Cooking. 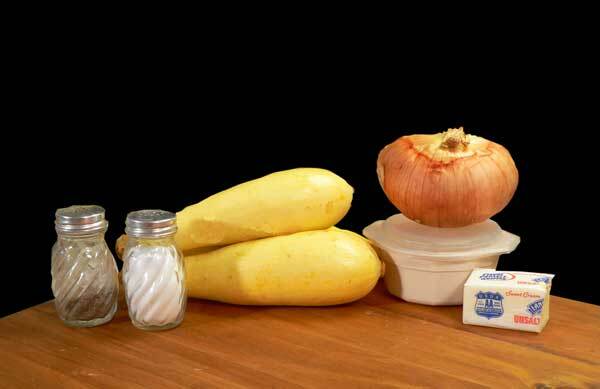 You’ll need these ingredients to make our Squash and Onions. 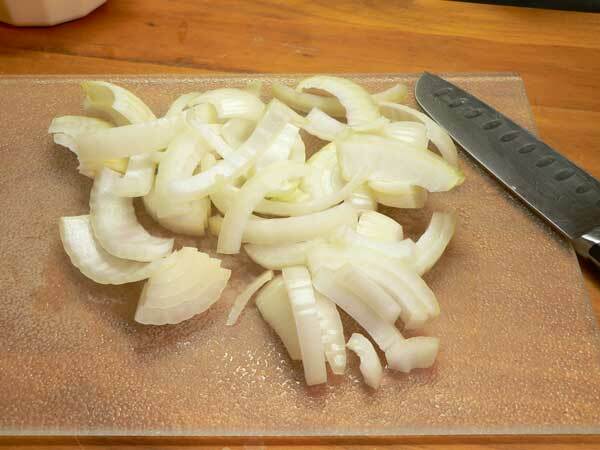 Begin by slicing your onion. 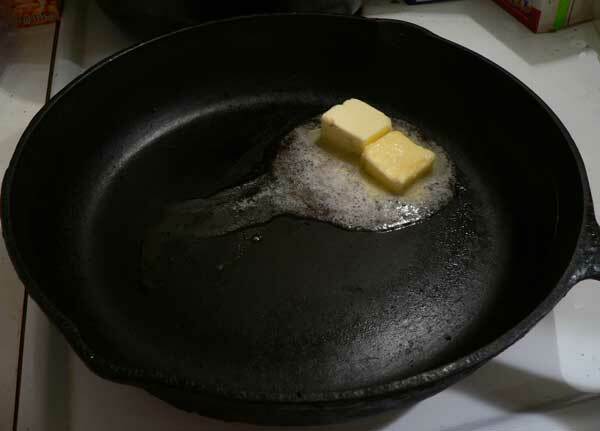 Place your skillet over Medium heat, then add the butter. Next, add the bacon grease. I wanted a little of the added flavor that comes from using bacon grease. 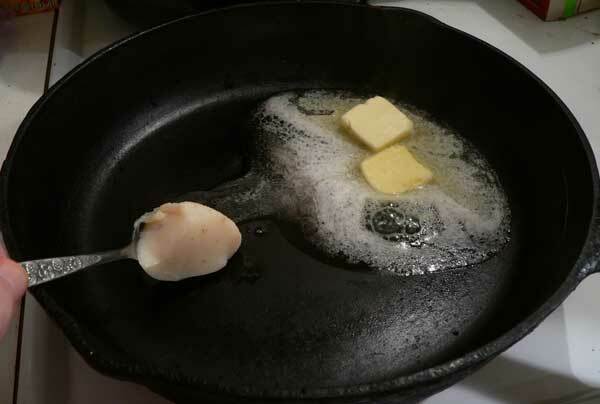 If you don’t have it, then just use another Tablespoon of butter instead. Also, using the bacon grease is going to add a little darker color to the finished dish, but it sure does make it taste better. Smile. Place the onions in the skillet. Stir them around in the butter and bacon grease to coat them. We will let these cook for about five minutes or so to let the onions become a bit translucent. While the onions are cooking, go ahead and slice the squash. You want to wash the squash first of course, then cut off both ends. I cut off most of the smaller long end of the squash as well, as it will cook much quicker than the bigger slices. You can keep it and slice it if you like. I just knew I had plenty so I cut that end off and discarded it. Keep the slices about one quarter of an inch thick in size. Place the squash in the skillet. And a little bit of sugar makes about everything taste better according to Mama. Add that in. Give everything a gentle stir, then cover the skillet. Cover, then lower the heat to Medium Low. Let this cook, covered, for about 15 minutes. Cook until tender, stirring as needed. These were well done in 15 minutes for me. When the squash starts to look translucent, it’s done. Just cook it to the way you like it. Some folks like it with a little crunch, but I like mine well done. Smile. Squash and Onions make for a great side dish. All you need is a fried bologna sandwich for the main entree and you’ll be good to go. Good stuff. 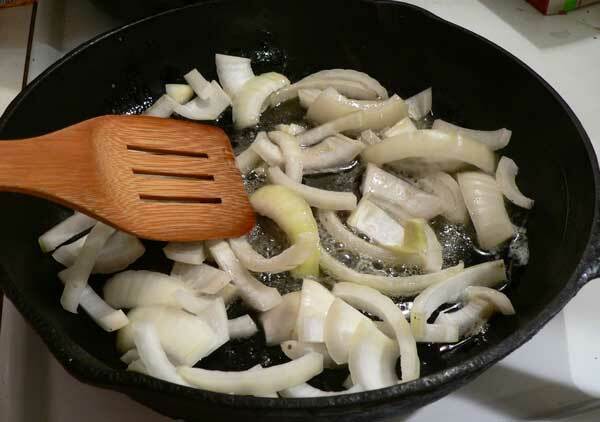 Easy to follow, step-by-step, photo illustrated recipe for making Squash and Onions. Add the onions. Stir and cook until slightly translucent, about 5 minutes. 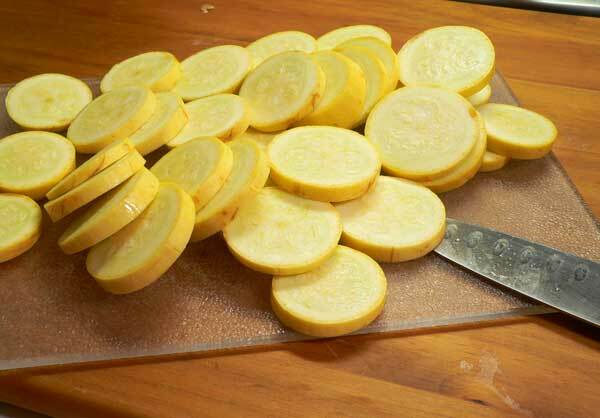 Wash and slice the yellow squash about ¼ inch thick. Add the squash to the skillet. Stir gently to combine the ingredients. Cover the skillet. Reduce heat to Medium Low. Cook until squash are tender. About 10-15 minutes. Your cooking time may vary. Mine were well done after 15 minutes. Just keep a check on them and cook until they reach the desired tenderness. Squash are done with they begin to look translucent in the center. Ever tried Squash and Onions? What did you think about them? Share your memories of this great Southern dish with us.It will only take a minute or two for you to leave your comments in the section below. We’ve had an abundance of yellow squash this year, and my daughter Hannah fixes it this way for us at lunch a lot! Soo good! One disappointing bit of news on our zucchini though….none, zero, nada, zip. Unfortunately we only had one plant this year and that one died. So…all those folks who sneak around to leave extra zucchini on front porches evidently haven’t found our porch yet. I ended up buying 4 zucchini from Walmart! These four will be made into Vegetable Lasagna this week. Sorry I didn’t get over here last week. Hi Deb, I’m sorry you didn’t have any zucchini in your garden this year. Gardening just happens that way some times it seems. But, glad you had the abundance of squash. I bet Hannah does a great job with it. I’m sure she had a couple of great teachers. Smile. I do hope everyone is doing well up in Staunton, Virginia. Ready for some more snow this year? Too early to talk about it yet? My mouth is watering, and I am heading out for more squash than what I have on hand. My white onion is already sliced. Sadly I am on a salt restricted diet so I will modify the recipe a bit but it will still taste great. Thanks for the quick and simple recipes, Southern Cooking at it’s finest. Squash and onions-yum! One of my favorites that I have cooked for years. I have never put sugar in them but will give that a try with my next pan. Potatoes are good cooked with them too for something different. Glad your vertigo is better and that Jan is doing well and determined to make a full recovery. Billy sure seems to be having some issues but I am sure he has been overwhelmed worrying about Jan. They have been through some difficult times recently. Take care of yourself too. We are all thinking of the three of you and wishing you better days ahead. 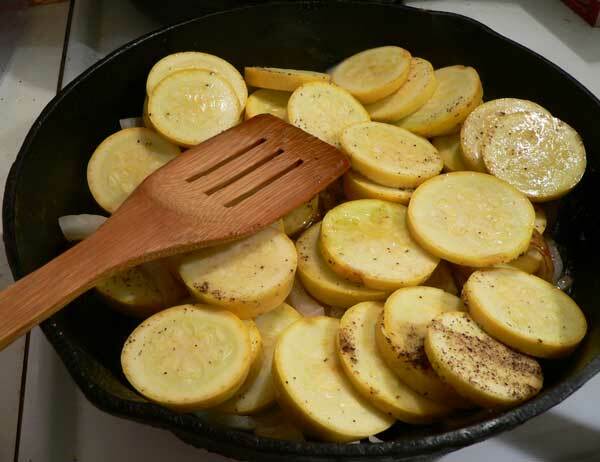 We like to fry some bacon until crisp and set aside; add the onions to the skillet, then add the yellow crookneck squash slices; season with salt/pepper; continue to fry (but we didn’t cover the pan – have to try that); when squash is lightly browned crumble in the crisp bacon, stir and serve. Memories of my granny. Loved fried squash and onions. Yum. My kids love them too.Had some last week that looked just like yours. Steve, this is one of my favorite, loved the way my Mom made them from the squash from her garden. You brought back great memories of my Mom’s southern cooking with this recipe and all the recipes you have on your site. I always look forward to see what you are cooking each Monday. Thanks. We’ve been without a stove for a couple months now due to remodeling but discovered that squash and onions can be made in the microwave! Not quite the same but put all in microwave dish – I use 8×8 glass baking dish – cover, about 5mins, stir, recover and about 5mins more – we have smaller microwave so times might be longer than with larger ovens. Not exactly the same but satisfies a craving. Can add sliced potatoes as well. Thanks for all these wonderful receips. My husband wouldn’t touch squash until I tried these receips. Now it’s one of our favorite dishes. Thank you Steve! I’m enjoying the ‘easy’ recipes 🙂 This is an oldie but goodie my mom would make. Appreciate you bringing back forgotten memories of simple good food. Steve your remark about the fried bologna sandwich made me lol. I like cornbread with my fried squash n onions and a few slices of tomatoes as well. Homegrown veggies are so darn good I don’t want any meat a lot of time. Thank you for your recipes and the newsletter. It’s always good to hear from you! I hope you get over the vertigo ASAP! Peace and blessings friend. 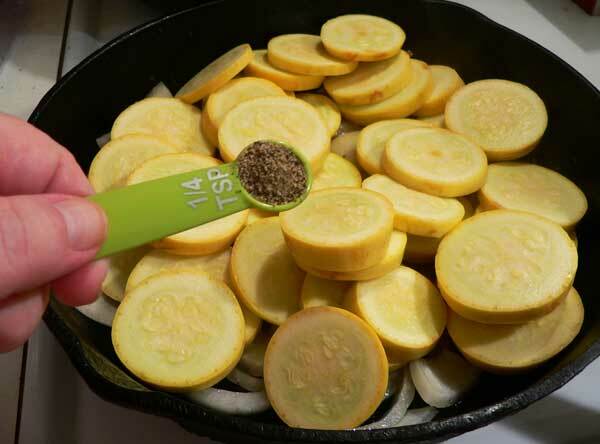 My favorite way to eat squash is sauteed like this, but I have never put bacon grease in it before. Told my husband about your recipe, he says it sounds really good. My mother-in-law introduced this dish to me years ago(without bacon grease). 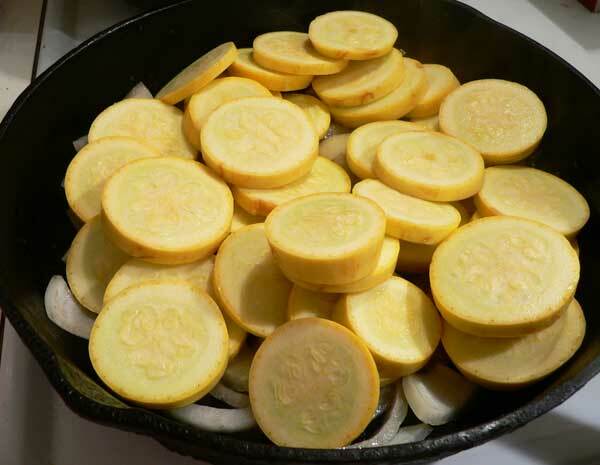 As a child, my mom would boil baby yellow squash, (which you can’t find any more) and split them down the middle and put a pat of butter in it. A serving was several of these on each plate. Later, she learned to make squash casserole with onion, cheese and eggs. This became her specialty at Thanksgiving. Squash is indeed versatile. Sorry to hear about your fishing buddy’s troubles, but glad that Jan is improving. I do pray that you and your friends will all be better soon. Looking forward to hearing from you next week! My recollection of fried squash with onions go back many years. My Mother and later my wife would cook until browned and was so delicious. I think the squash was breaded prior to placing into a skillet with oil.